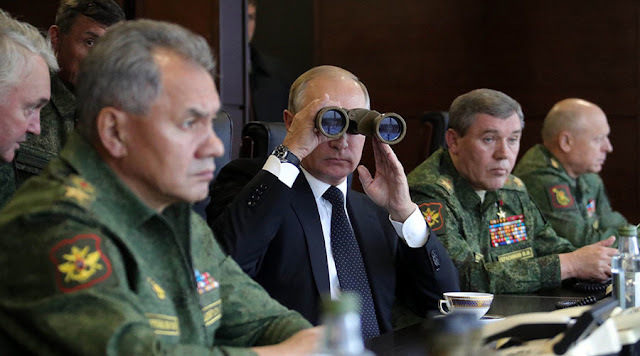 Russian President Vladimir Putin along with the generals from Belarussian Union States surveying the war games. 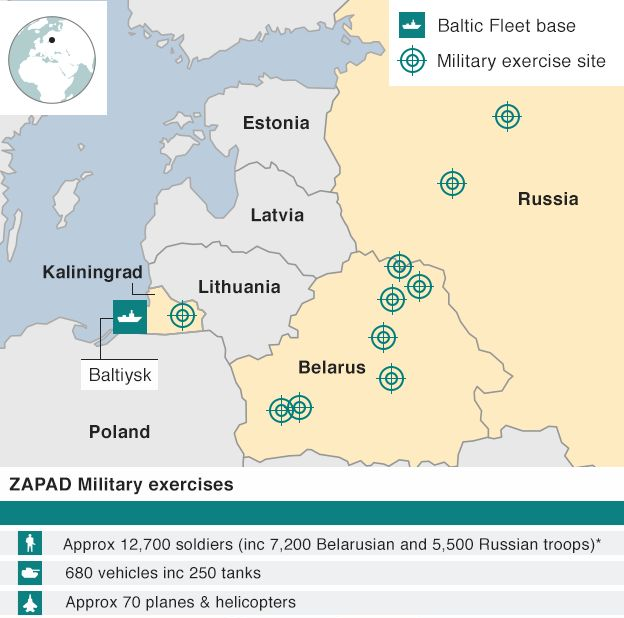 The anticipated military manoeuvres that currently underway codenamed “Zapad”, which means “West”, are undertaken by Russia every four years, and this time is being conducted in partnership with Belarus. The deployment is the country’s largest military exercise ever since 2013, which laid the foundations for Russian military for reclaiming Crimea, though some Western powers have said it could be the largest deployment since the Cold War. Land, sea and air units are all involved in this war games, which takes place across a vast expanse of land,waters and airspace in Russia’s territory, as well as Belarus, the Baltic Sea and enclave of Kaliningrad. Some observers have expressed concern over the scale of the plans, and the numbers of troops involved. Official figures from the Russian defence ministry say around 12,700 troops deployed in total, including 5,500 Russian personnel and 7,200 Belarussian soldiers.Russian President Putin is touring a Leningrad region military range where Belarusian troops are being hosted for the Zapad 2017 drills. The exercises began last week at several locations in Russia and Belarus and will be conducted until Wednesday. Russia sent around 3,000 troops to neighboring Belarus, where they are trained at six locations along with 7,000 soldiers and officers of the host nation. Russia welcomed Belarusian troops at three sites, including the Luzhsky range in Leningrad region. The live firing exercise in a Second Phase of Zapad-2017 war games that demonstrates Russian fire power. “We urge Russia to share information regarding its exercises and operations in NATO’s vicinity to clearly convey its intentions and minimize any misunderstandings,” -Lt Col: Michelle Baldanza,Pentagon spokeswoman. But the Russian government says it has provided clear information and that the exercises are in line with international law. “We reject complaints of these exercises not being transparent,” Kremlin spokesman Dmitry Peskov told a conference call with reporters. “We believe that whipping up hysteria around these exercises is a provocation. Zapad 2017 has been described as a possible “Trojan Horse” in which the Russians could launch significant military action. However, analysts believe it is unlikely Mr Putin will use Zapad as an opportunity to make a land grab, as some in the US fear. Mathieu Boulegue, a research fellow at the Royal Institute of International Affairs told the media that: “Zapad is a routine exercise, so there is no cause for alarm in the sense that Russia will stick to the scenario. The two nations Russia and Belarus are working on coordination and interoperability of its troops in joint operations. Both stressed that the drill is meant to be purely defensive. They also invited some 90 foreign observers from 60 countries to monitor the exercise. The stage of the war games that Putin observed on Monday included a simulated cross-border incursion of insurgents who, according to the scenario, hijacked a large number of small planes and drones and tried to use them to attack targets in Russia. Russian and Belarusian troops used Pantsir-S1 and Tunguska air defense systems to take out the improvised enemy air attack. Tanks supported by artillery and aircraft launched an attack on the hundreds-strong groups of militants while a group of airdropped paratroopers prevented them from retreating. War games such as Zapad 2017 are conducted by Russia and Belarus on a regular basis, and the ongoing exercise is among the bigger events. In the months prior to the launch of the drills, several countries, including Poland and the three Baltic states, were strongly critical, calling them a threat to their national security. Officials in some countries claimed that Russia would send more troops to Belarus than it said it would and that the entire event may be a cover-up for a land grab. Among the officials whipping up fears over Zapad 2017 was German Defense Minister Ursula von der Leyen, who said earlier this month that the exercises would involve over 100,000 troops. The Russian Defense Ministry called the claim “astounding.” Earlier, Lithuanian President Dalia Grybauskaite referred to the event as “aggressive games directed against the West,” while Lieutenant-General Ben Hodges, commander of US Army forces in Europe, said they may be a “Trojan horse” to move troops and weapons. 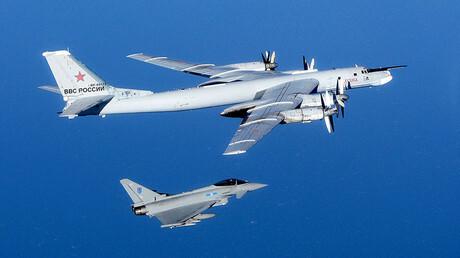 The Russian Foreign Ministry blasted critics of the drills in the media, accusing them of fearmongering. This followed by NATO launched massive parallel military exercises in Sweden involving 20,000 troops the largest in the country in 23 years which was touted as deterrence to potential Russian aggression. The alliance has been building up a presence near Russia’s borders for years, with a significant acceleration beginning in 2014, following the political crisis in Ukraine. Alliance members like Poland and the Baltic states accuse Russia of having aggressive intentions in eastern Europe, and claim they need protection. NATO has also staged dozens of war games in the region over the past three years, some involving tens of thousands of troops. Moscow considers the actions to be provocative and says it must respond accordingly, deploying additional troops in its western areas. It denies any plans of aggression against NATO states and says the organization is fearmongering to persuade European members to spend more on defense. The majority of NATO members spend less than two percent of their GDP on their militaries, despite commitments to meet the benchmark. So far, there has been no sign of anything out of order happening at Zapad 2017.